' The one & only one Danone ' cause no one else can match the nutritional values & qualities of Danone Yoghurt. Oh, Really ?. Well , let's find out and then try out few interesting Danone Greek style Yoghurt - recipes. 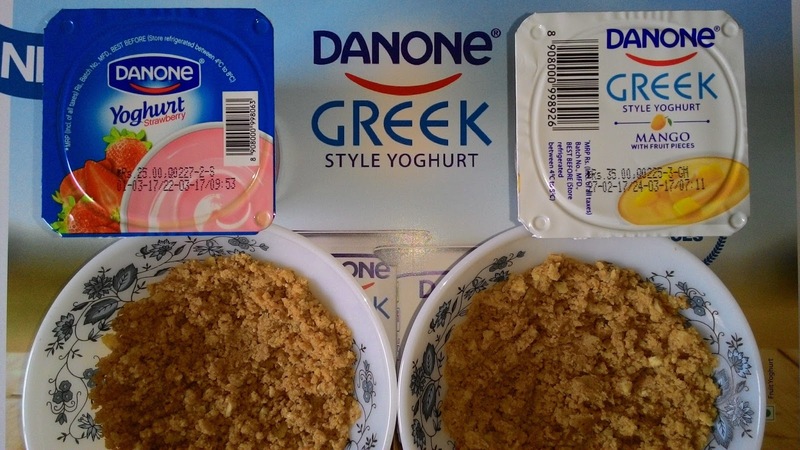 First and foremost is the Natural ingredients of Danone. Next, Danone is full of Proteins and Calcium. 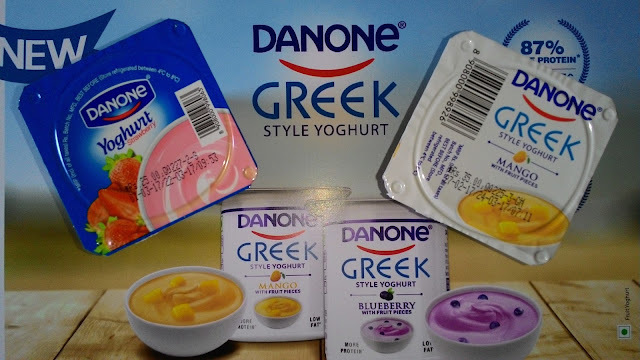 Naturally, none can beat Danone as it is World's No. 1 Fresh Dairy company. Choose Good , Feel Good, Enjoy Danone Yoghurt! 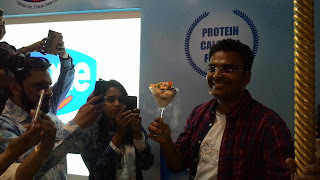 Mumbai bloggers were invited by DANONE for an interactive and fun meet at Out Of The Blue - Le Sutra ( Bandra, Mumbai ). 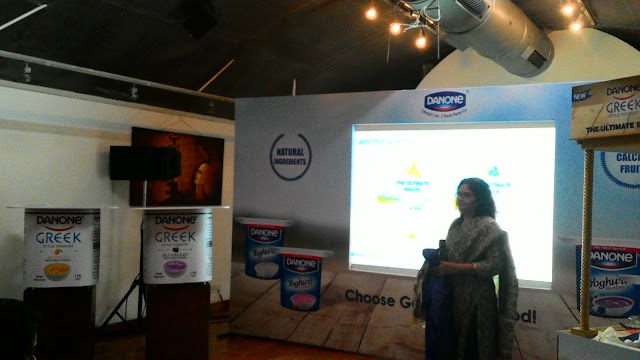 Post the warm welcome address by Ms. Gopika Kaul , Danone's Country Manager-Ms. Manjari Upadhye introduced us to Danone's Dairy business. 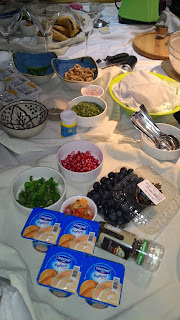 She unveiled Danone Yoghurt's new flavors , Mango & Blueberry amid loud applause. Danone: Only Good Gets In, World’s No.1 Dairy Company, is the pioneer in introducing the benefits of Yoghurt in India . We have the lowest per capita consumption of yoghurt as compared to European countries, though India is the no.1 milk producing country in the world. 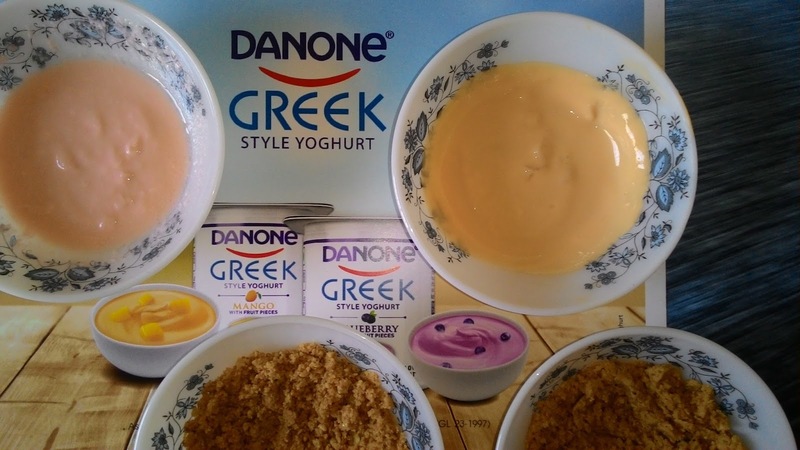 Danone has introduced Greek style Yogurt, with twice the protein, half the sodium and half the carbohydrates than regular yogurt. It is creamier and has higher protein content. Danone Greek style yoghurt, being a novelty to Indian consumers, the bloggers were curious to know more. All our enthusiasm was sufficiently gouged by Danone. 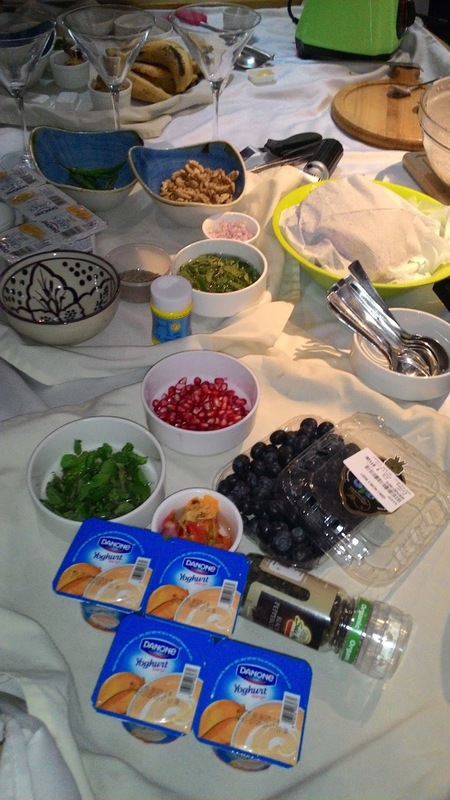 Nutritionist Naaznin Husein acquainted us with Danone's strong nutritional value - Protein ( 87% more ), Calcium, Fruits, natural ingredients. Yoghurt is a cultured milk product that is soured and thickened by the action of specific lactic acid producing cultures added to the milk. It is a naturally nutritious food, as it is an excellent source of protein, calcium and potassium. 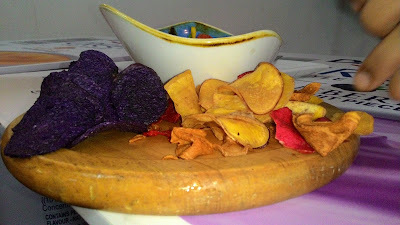 It’s a healthier snacking option, cause its nutrient density much better than other snacks. Yogurt is that one by-product of milk that can be safely consumed by people with Lactose Intolerance too. 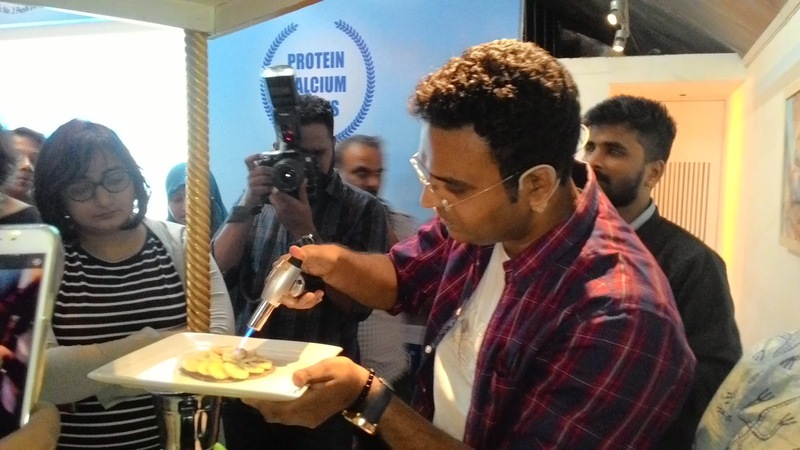 After a brief session of Snacking with Danone Yoghurt , the most awaited - Demo by Chef Varun Inamdar. was thoroughly enjoyed by all of us. 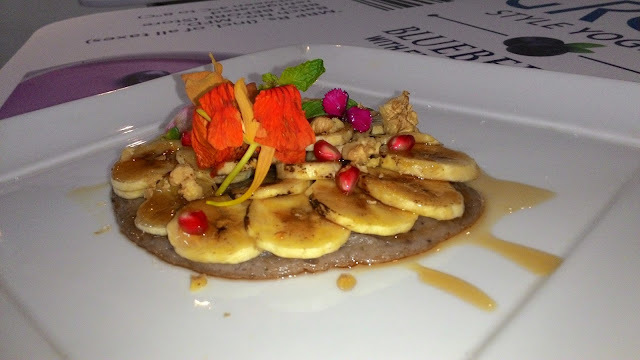 We loved the making , the looks and the tastes of Banana Brulee and yogurt snackjacks , Doon Chetin - a Kashmiri walnut & yogurt dip , Instant Yoghurt Parfait . Take a non-stick pan. Add in besan, ghee and mix well. Start roasting on a medium heat for 15 minutes till it turn golden and smell toasted. Transfer it to a bowl and leave it to cool down. Add in 1 cup Danone Mango yoghurt , powdered sugar, cardamom, chopped cashew nuts and mix well. Form them into balls and keep them aside to dry. Store in refrigerator. 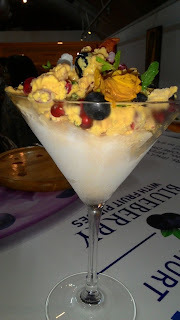 Serve chilled as it contains yoghurt, it must be consumed within 24 hours. The Danone Laddus turned out so yummy that my nephew & niece gobbled them all. I manged to save only 3 for the photos. Have a look. Hey Dipty , Welcome to 'Spirit Of Mumbai'. 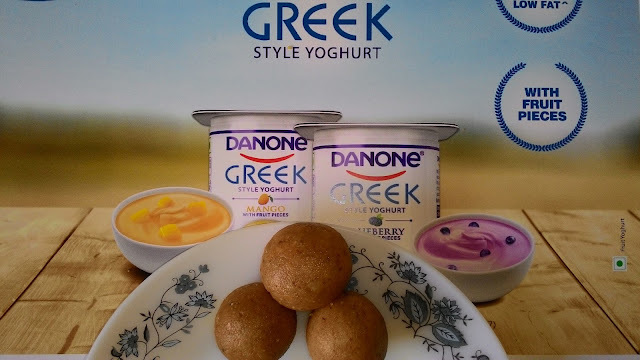 Danone Greek style Yoghurt is absolutely Healthy & Yummy.